You are amazing …looking forward to seeing you at work . What an inspiration you are – your blog is incredibly inspiring. Good luck going back to work and with the rest of your treatment. 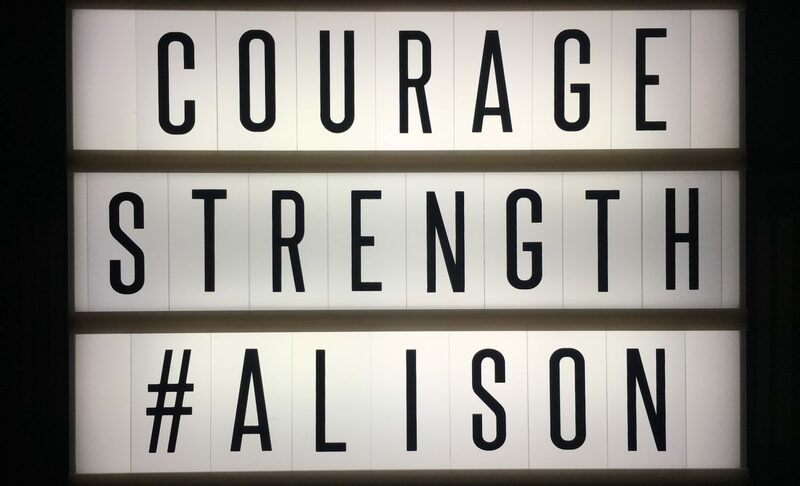 Honest, raw and interesting blog as always Alison. Great news to hear you are thinking about the return to work – I bet you are missed like crazy. Sorry I haven’t been great at keeping in touch but I’ve been following your blogs during late night feeds!